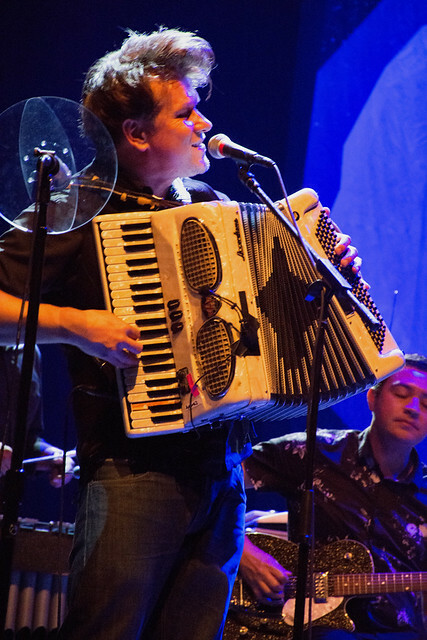 Posted on 05/01/2018 by Mark Caicedo	in Live Review and tagged Arizona, Calexico, folk, Latin rock, Lincoln Theatre, Tejano. 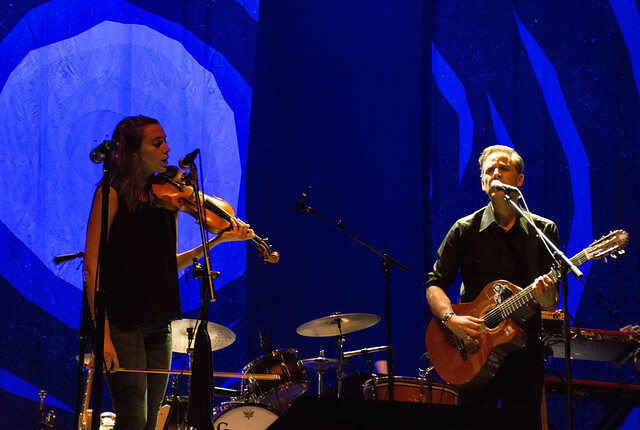 Calexico’s Joey Burns is a gentleman. 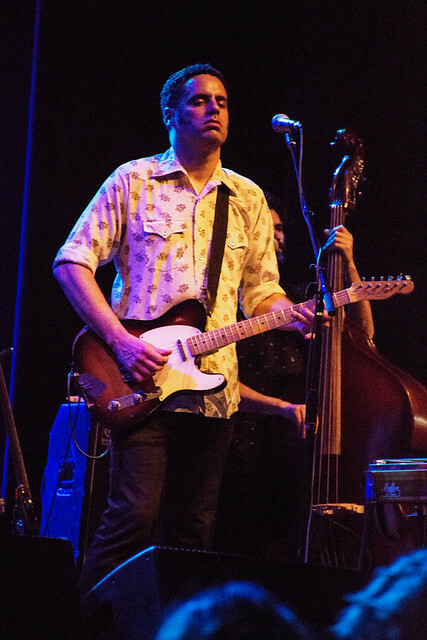 Aside from his easy-going banter between songs, his musical generosity toward his bandmates, and the stellar renditions of his compositions, he made sure to thank the adoring Lincoln Theater crowd repeatedly throughout his band’s performance on Friday, with a special shout-out to those parents of small children who went through considerable effort to be there. 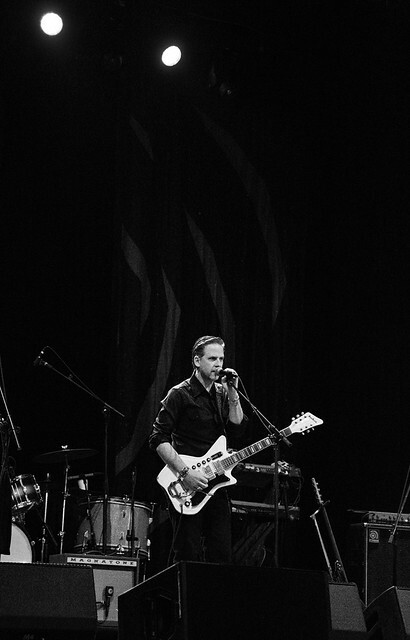 As we were to learn, the Calexico frontman knew firsthand of what he spoke. 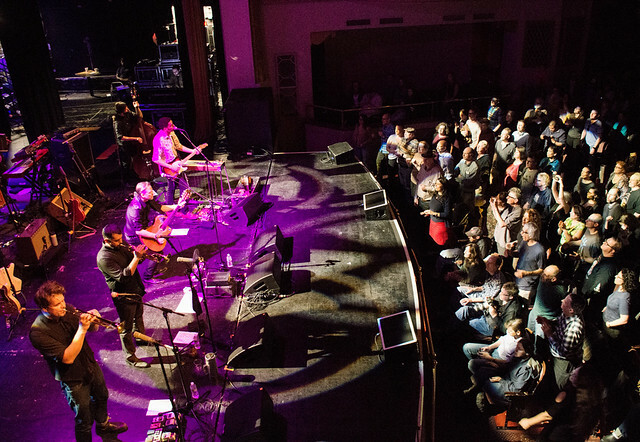 Calexico’s show at the beautiful Lincoln Theater was a 2018 concert highlight for this long-time fan. 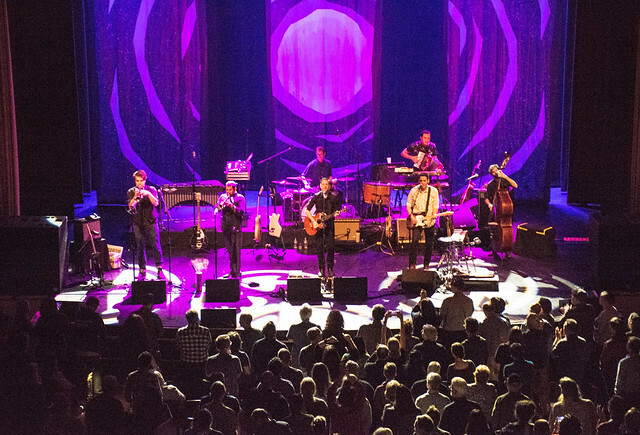 Touring in support of its ninth studio album, The Thread That Keeps Us, released in January, the 2-hour set focused on the new music, but with plenty of nods to Calexico’s extensive catalog. 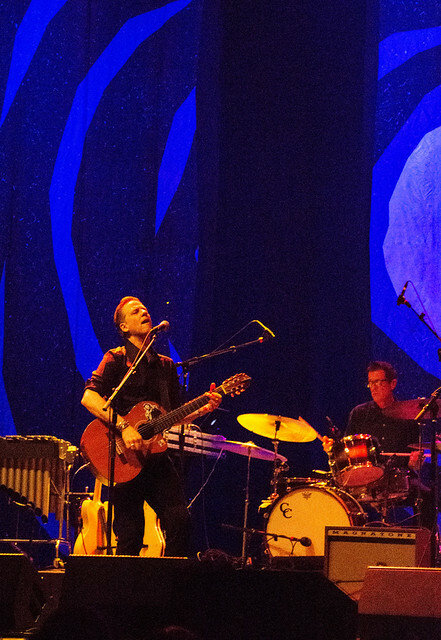 Opening with a lively “Frontera/Trigger” from The Black Light (1998), we then leapt ahead, without missing a beat, to “End of the World With You” from the new album. 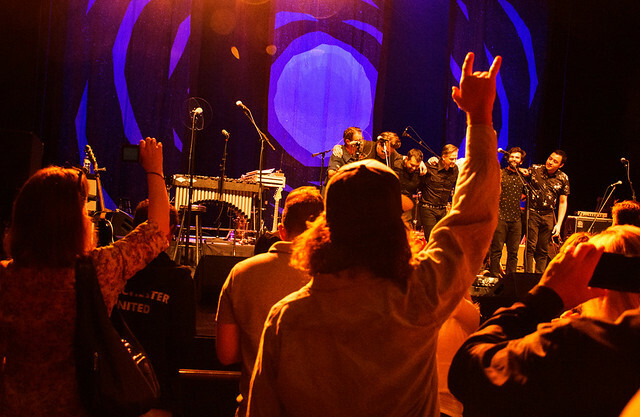 A rapid succession of brilliant new tunes followed, ultimately bringing the crowd to its feet for the raucous “Flores y Tamales.” And we were only six songs into what would be a 21-song set! 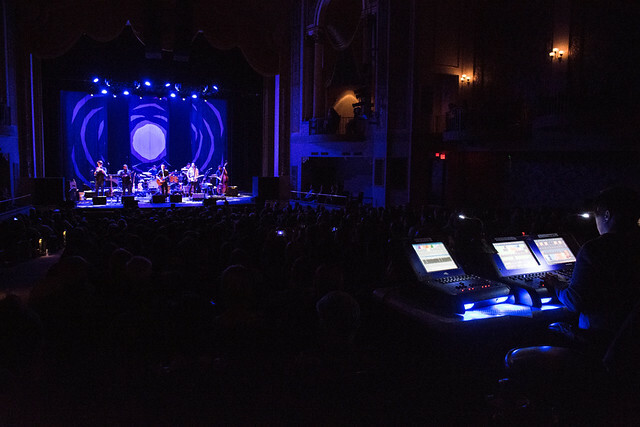 The highlight of the first half of the show for me was “Thrown to the Wild” with its slightly spooky melody and slow build to an extended closing instrumental section. The harmonies during the coda sent shivers down my spine, yet I’d wager there wasn’t a soul in the audience that wanted the song to end. 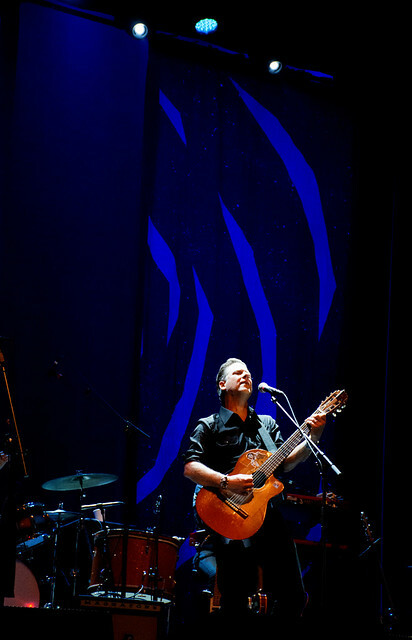 Joey Burns then completely changed the mood with his introduction to “Girl in the Forest.” In a nod to the parents in the audience, he spoke of writing the song with his 7-year-old twin daughters. Cast as a gentle fable about the state of the planet (“Well, the world was spinning so fast, nobody took the time”), Burns says, “That song wouldn’t have been written unless I was sitting next to my daughter Twyla, who was humming along as I was making up this melody. 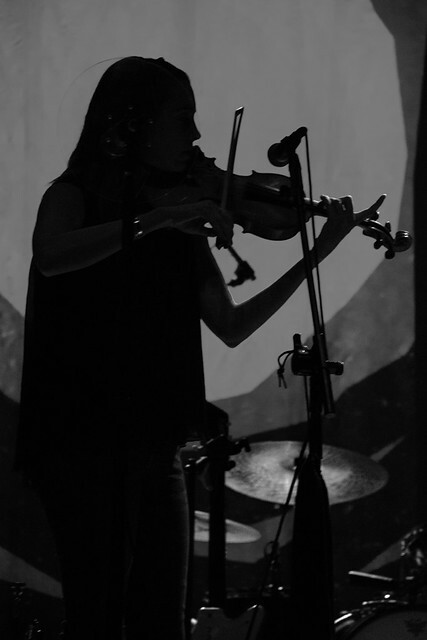 For months, we tried finishing the lyrics together; I was leading with this idea about environmentalism and protesters in the forest, and I thought there could be some sort of spirit who appears. “And then my daughter told me, ‘Yeah, that’s cool — but maybe it’s just a girl who’s friends with all the animals.’” So that’s the song — with its gorgeous little melody reminiscent of an Eagles’ ballad. 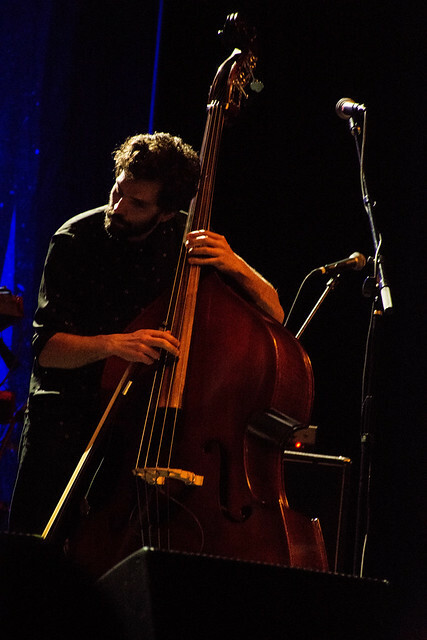 And perhaps that’s what drives Joey’s inexorable optimism, easy-going onstage charisma, and stellar songwriting and musicianship. Go see this band play! Get a babysitter if you must… or just bring the kids! 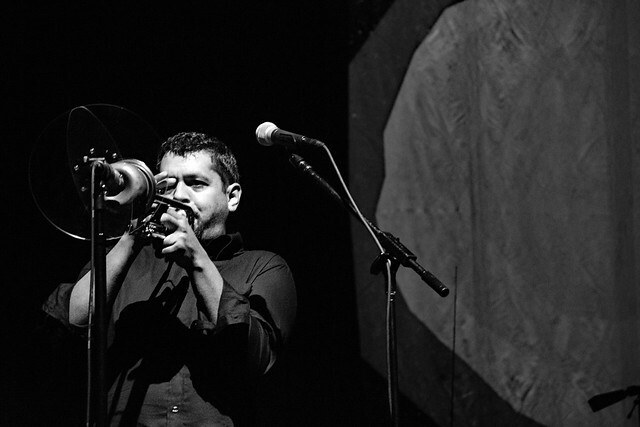 Find music, videos and tour information at http://www.casadecalexico.com. 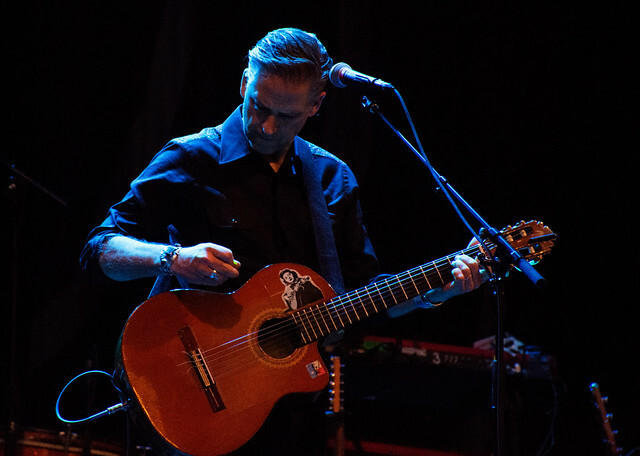 Here are some pictures of Calexico performing at the Lincoln Theatre on April 27, 2018. All photos copyright and courtesy of Mark Caicedo.